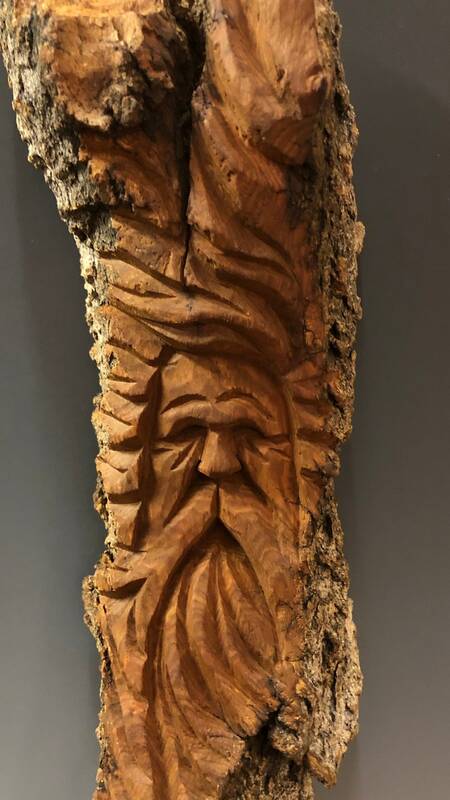 This piece is a hand carved rustic Tree Spirit carved from 100 year old cottonwood bark. The bark of a Cottonwood tree is unique in that it continues to thicken as the tree grows, sometines 4" thick and upwards. All the bark I use is gathered from dead trees. All cracks, knots ect. are incorporated into the design to make a truely unique and one of a kind carving! It is carved in deep relief (flat on the back) and ready to hang. The piece measures 12.5" tall by 3" wide. 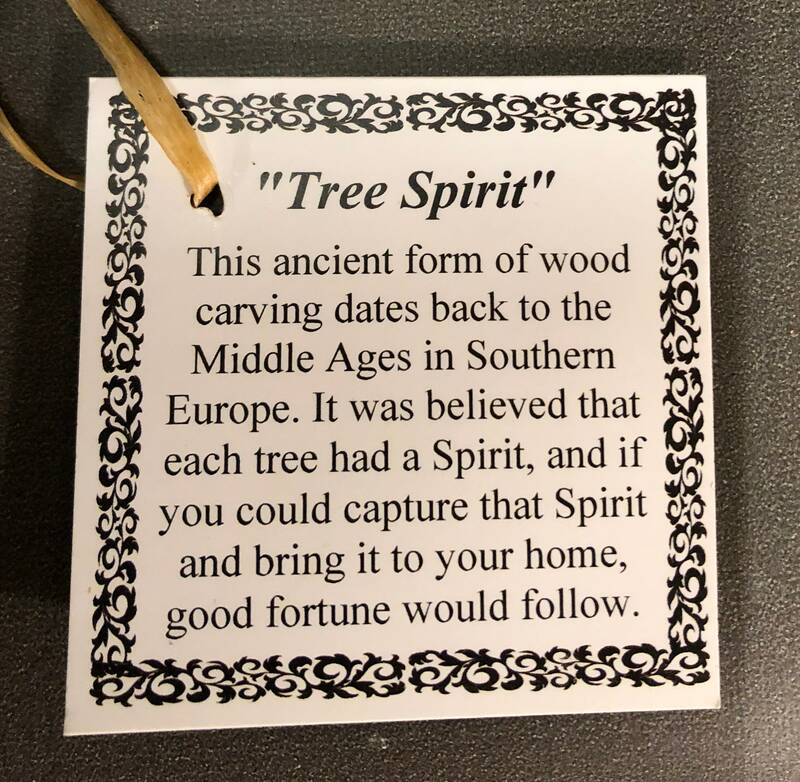 It comes with a Tree Spirit legend card. 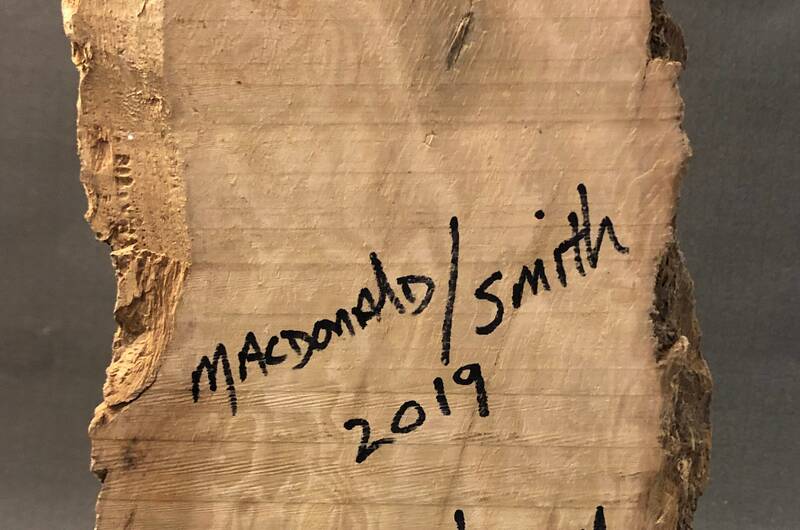 I have antiqued it with an oil finish to give it a soft, aged appearance.